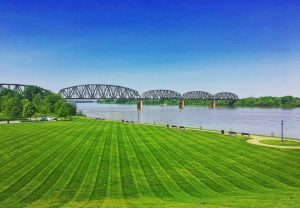 Henderson Tourist Commission – How Well Do You Know Henderson History? Henderson Tourist Commission / history / How Well Do You Know Henderson History? How Well Do You Know Henderson History? 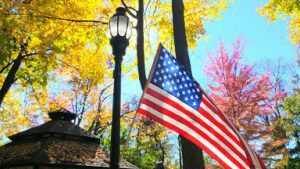 Henderson’s Central Park, once known as Transylvania Park (part of land set aside for public use in 1797), is believed to be the oldest municipal park west of the Allegheny Mountains. The first town jail was located within the public lands set aside for the park. Henderson is known for its rich train history. Many famous and influential people passed through Union Station in Henderson from 1902 to 1971. Some include Franklin Roosevelt, Harry Truman, and Dwight Eisenhower. Today, you can watch commercial trains run through downtown Henderson about every 40 minutes. The East End of Henderson was known as “Audubon” at one time. In 1815, John James Audubon built a home on the northeast corner of what is now Shelby and Loeb streets. 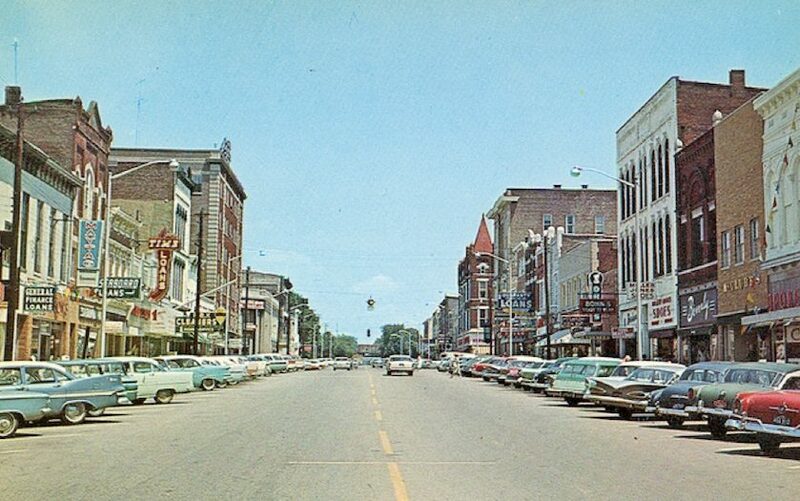 The area had its own school, movie theater, factories, drugstore with soda fountain, and funeral home. Today, Audubon Kids Zone, a non-profit organization that helps kids succeeds, sits in the heart of the East End community. In the original layout of Henderson, Samuel Hopkins planned for streets 100 foot wide to slow the spread of fires, which were common back then. 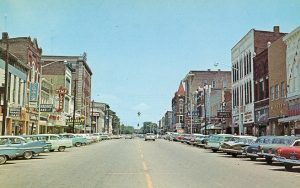 To this day, Henderson locals and visitors enjoy angled parking in the historic downtown and central business district. This is a rare accommodation compared to most downtowns, which have parallel parking. Despite the current social climate on smoking tobacco, in 1861, Henderson had a booming tobacco industry. In fact, local legend says that Henderson was once the richest county per capita in the United States. All tobacco in our area was rated here and shipped by water and rail. 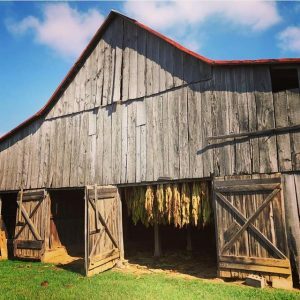 When traveling on county backroads, one can still spot tobacco barns in the rolling country hills. 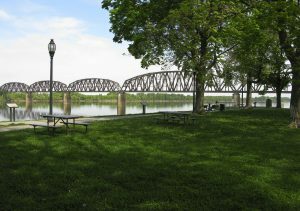 Red Banks Park is a beautiful riverfront park in downtown Henderson. The original name of the area in which the park exists was Red Banks because of the red clay on the riverbanks. Makes sense! 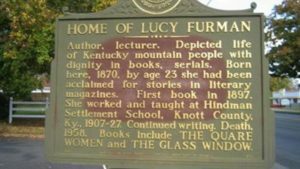 The home of Lucy Furman, an American author primarily known for her short stories of Kentucky mountain life, is commemorated by historical marker 870 on Powell Street. A tunnel entrance has been discovered under the basement floor, but no one really knows what this feature of the house was used for, other than some speculation that it involved the Underground Railroad. The originator of Mother’s Day, Mary Towles Sasseen, held the first Mother’s Day celebration in Henderson. 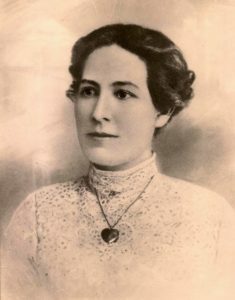 Sasseen hosted the festivities in the school in which she worked. Sasseen was a dedicated advocate for Mother’s Day, even though she was never a mother herself. She began the tradition to honor her own mother. Ironically, Sasseen died while giving birth to her firstborn before Mother’s Day became a recognized holiday. 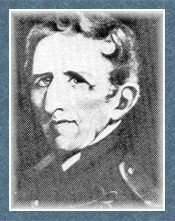 Legendary naturalist John James Audubon lived in Henderson for nearly a decade, painting and observing birds. One adventure he recounts while in Henderson is watching the arrival of thousands of snow geese. 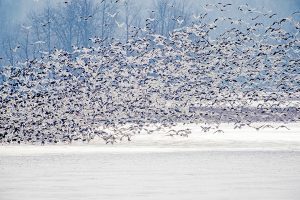 He “never failed to watch the arrival of this species.” Thousands of snow geese still migrate through the Henderson Sloughs every winter. 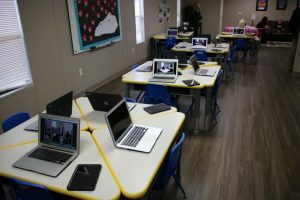 Want to learn more about Henderson History? Click here to check out our blog on a historic sports icon from Henderson!